The organic Toning Moisturiser contains common yarrow and witch hazel that possess vessel-protective and anti-inflammatory properties. 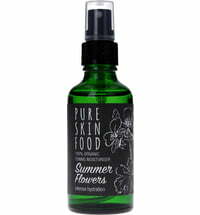 The delicately scented toner helps with skin prone to rosacea. 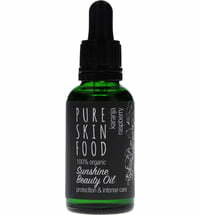 Furthermore, ingredients such as flavonoids support the healing process of inflamed skin and mild acne. Simply spray on the skin. To achieve a healing effect we advise using a facial compress or the 7 Skin Method. For best results, use in conjunction with the Farewell Rosacea Mask that is blended with the toner and applied directed to the affected areas of the skin. Achillea Millefolium Flower Water *, Hamamelis Virginiana Water *, Limonene **, Linalool **.